Want a way to keep your kids busy and active during Spring Break? Adventure Outfitters is pleased to announce its Spring Break Youth Program! Enjoy several days of snorkeling / skin diving, scuba, kayaking and learning about our Florida environment! Snorkeling: Adventure Outfitter’s PADI Skin Diving course is, snorkeling while making breath-hold dives to observe aquatic life, up close and personal. It’s a great way to explore the underwater world when you’re not able to scuba dive or just not old enough yet. Our Skin Diver course teaches you how to enjoy watching life below the surface and comfortably venture underwater for short visits, whether you dive in a local freshwater lake or the big blue ocean, at home or on vacation. PADI Bubblemaker: Bubblemaker is as fun as it sounds – This course is a student’s first introduction to scuba diving – a chance for kids to blow bubbles. Students can use scuba gear to breathe underwater and swim around in shallow water. Bubblemakers will get a chance to experience scuba diving under the direct care and supervision of a PADI Pro and take their first breaths underwater, shallower than 6 feet. They will learn about scuba diving equipment made for children, not adults and have lots of fun! The two-hour session includes a small classroom session, gear workshop and pool time. We provide all the scuba gear: tanks, mask, snorkel, fins, pool toys and the fun Bubblemaker CREW Pak! which includes their first log book, pool toy, sticker, towel, patch and temporary tattoo. If you have ever wanted your child to have their own personal gear including: a mask, snorkel and fins, we have these packages available at a student discount rate. 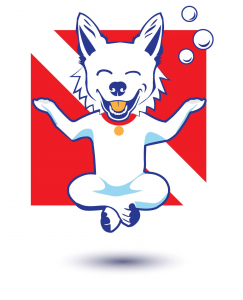 To enroll in a PADI Bubblemaker course, you must be 8 to 9 years old. Students must be comfortable in the water but no prior experience is required. PADI Seal Team: The PADI Seal Team is for young scuba divers who are looking for action-packed fun in a pool, by completing exciting Aqua Missions! This is included in Adventure Outfitter’s Youth Program. Have you ever wondered what it’s like to dive with flashlights, take digital pictures underwater or float effortlessly like an astronaut? Beyond learning basic scuba skills, there are specialty Aqua missions including wreck diving, navigation, buoyancy, environmental awareness and more. PADI Seal Team includes doing some cool stuff in the pool, meeting friends and sharing in the adventure of the underwater world. To enroll in a PADI Seal Team, a child must be 8 years or older. No prior experience with scuba diving is necessary but kids should be comfortable in the water. Parental approval is required. The PADI Seal Team program teaches responsibility and respect for the aquatic realm. AquaMissions 1-5: covers basic scuba diving skills, such as breathing underwater, clearing a mask, recovering a regulator and swimming around experiencing the sensation of being weightless. Each session takes about an hour. You may also count toward the PADI Open Water Diver course when you’re old enough to participate in the course (at age 10). To enroll in a PADI Blubblemaker course, you must be 8 to 9 years old. Students must be comfortable in the water but no prior experience is required. 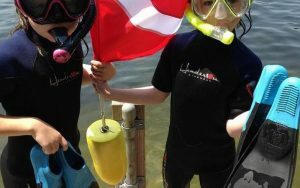 Discover Scuba: This program is similar to the Bubblemaker program, only for kids, ages 10 and up! Experience what it’s like to scuba dive, without the pressure to complete all the skills. No prior experience with scuba diving is necessary, but you need to be in reasonable physical health. Advanced Open Water: This course is directed towards those who have already completed their Open Water and are interested in continuing their diver education! We conduct five specialty dives for the PADI Advanced Open Water certification. Deep Diving and Underwater Navigator are the two required dives. These skills are extremely important and useful. With Deep Diving, you will be able to complete recreational dives up to 100 feet and enable you to dive more places. Underwater Navigator allows you to comfortably and knowledgeably use a compass to know where you are going underwater. Additional specialties include: Search & Recovery, Peak Performance Buoyancy, Wreck, Drift, Boat, Night, Fish ID, Dry Suit, Digital Underwater Imaging, Nitrox, Dive Against Debris, Shark Conservation, Delayed Surface Marker Buoy Diving, Cavern, Sidemount, and Full Face Mask. You must be 10 years or older to enroll in this course. For more information on our youth programs, please contact info@adventuretampa.com or 813-832-6669.